Situated within the new state-of-the-art Porta Volta neighborhood, Hotel VIU Milan is a design-focused luxury boutique hotel steps from the world class shopping of Corso Como. To meet the needs of a variety of traveler types, the property offers 10 room categories, each mixing contemporary styling with classic elegance and the latest technology. 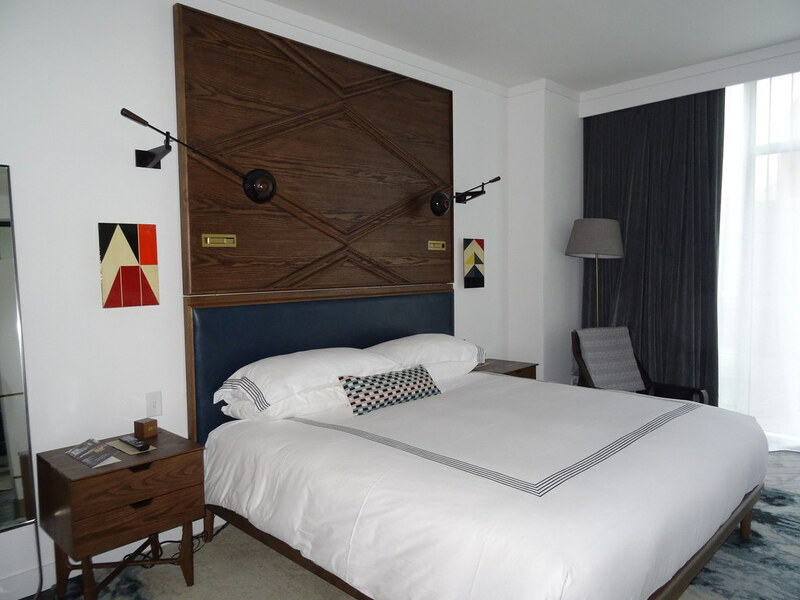 All rooms have marble bathrooms with Malin + Goetz amenities, smart TVs, plush beds, and bespoke Molten & C furniture. Learn more about the property & exclusive perks below the photo. One of the highlights of the hotel is the rooftop pool. Set within the exclusive VIU Terrace, Milan's only rooftop pool features 360-degree views of the city where guests can relax from breakfast until aperitif time. At 6:30 pm, Aperitivo opens for poolside cocktails, light snacks, and creative dishes. There's also select times with DJ sets as well. Learn more about an exclusive Five Star Alliance Perk below the pool photo. FIVE STAR ALLIANCE PERK: All guests making reservations witih Five Star Alliance will receive a voucher for 1 aperitivo (cocktail and hors d'oeuvres) per guest/per stay on the hotel's rooftop terrace. Situated in the Northern part of the Eastern Caribbean, Antigua is the larger of the two islands of Antigua and Barbuda. Formerly a British colony, the now independent nation offers a sunny destination with enough beaches to visit a different one every day of the year. Rich in history, the southern coast is home to historic harbors showcasing the island's importance as a strategic naval port, including Nelson Dockyard's National Park. English traditions are woven into the island's culture, and the capital of St. John's is home to wooden houses with louvered verandas and corrugated iron roof. Throughout the island, dramatic scenery and sugar-white sand beaches protected by coral reefs draw visitors seeking beach vacations. In the northwest, Dickenson Bay offers tranquil turquoise waters, ideal for families with small children. While Johnson's Point provides schools of tropical fish and stark white sands. Carved over time by lashing of breakers, Devil's Bridge is a natural bridge and popular attraction within Indian Town National Park. Bird enthusiasts will want to visit Frigate Bird Sanctuary to see the large nesting colonies of frigates, or man-o'-war birds. Along the famous beach of Dickenson Bay, Sandals Grande Antigua is an adult couples-only all-inclusive resort with six pools, nine restaurants, and eight bars, including an English Pub. Providing beachfront luxury, the property has a variety of water sports such as kayaking, paddle boarding, and windsurfing, plus PADI Certified Scuba Diving, croquet, pool tables, tennis, beach parties, and casino nights. Featuring a backdrop of rolling hills and rainforest, Carlisle Bay is the sister hotel to the award-winning One Aldwych in London. Set on the island's south coast, the all-suite boutique property is on a secluded bay with all 87 suites offering beachfront suite-to-sand access. There's also four restaurants, four bars, kids club, and spa. Five Star Alliance Perk: Guests booking the "5 Star Signature Package" rate will also include a $100 spa voucher per suite, per stay. Accessible only by boat from Antigua, Jumby Bay Island is a tropical Caribbean hideaway. Fresh off a multi-million dollar restoration, dining options include the Estate House, Verandah Restaurant & Bar, Pool Grille, and Beach Shack. Set along white sands and turquoise Caribbean waters, the property is a luxurious hideaway with an array of recreational amenities like cooking classes, sunset cocktail cruises, rum tastings, seasonal turtle watches, and yoga. Five Star Alliance Perk: Guests booking the "5 Star Signature Package" rate will also include a $100 spa services credit per accommodation/per stay (not valid on products) and culinary welcome amenity. Consisting of 30 freestanding suites with contemporary styling, Hermitage Bay is a secluded boutique retreat with a romantic setting. Overlooking the Caribbean Sea, the eco-chic property is situated on the west coast of Antigua along a 1,250-foot beach with a mix of white sands and seashells that have washed ashore from the coral reef. Amidst 16 acres of tropical gardens, the gourmet all-inclusive features menus that change daily (no buffets), and made-to-order foods prepared with the finest ingredients. Five Star Alliance Perk: Guests booking with Five Star Alliance receive a $100 resort credit. Also, subject to availability at the time of check-in/departure: room upgrade, early check-in, and late check-out. 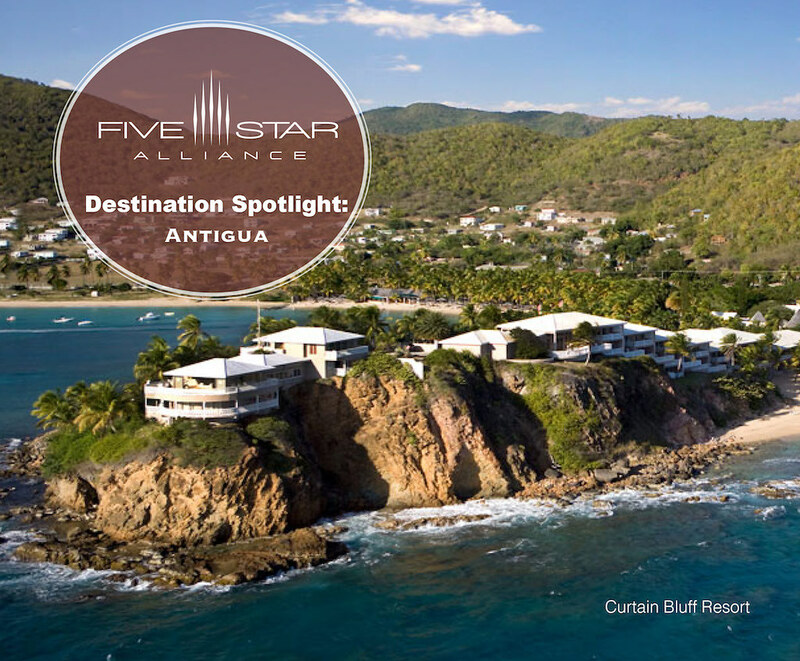 Positioned between two picturesque bays and the only rainforest in Antigua, Curtain Bluff is an all-inclusive resort. The 15-acre property has 72 rooms and suites scattered up the bluff. Ideal for couples and families, there is a variety of on-site activities including yoga, stand up paddleboarding, Pilates, four floodlit tennis courts, two beaches with a beach bar, and two restaurants. Five Star Alliance Perk: Guests making reservations with Five Star Alliance will also receive a $100 resort credit per room, per stay. In June 2018, the Anantara Mai Khao Phuket Villas unveiled a new two bedroom villa. Nestled amidst the Bill Bensley gardens, the Two Bedroom Royal Villa by Jim Thompson at Anantara Mai Khao Phuket Villas is an ultra-luxe villa steps from Mai Khao's white-sand beaches with a private pool, traditional Thai sala over the lagoon, and a sundeck. Inspired by the villa's natural surroundings and fashion connoisseur Jim Thompson's silk designs from the 1950s and 60s, the exclusive sanctuary highlights multiple Thai silks throughout. Natural Thai Makha hardwood flooring provides a unique patina throughout the villa, there's Thai artwork and carvings, as well as classic Thai Pikul flower designs. In the living room, Thompson's fabrics mingle with woods and sandy hues to create a nautical feel. Read more below the living room photo. In the master bedroom, Thompson's Heliconia Dreamin' provides a vibrant and whimsical style that extends to the swimming pool and sala. The design was inspired by the Heliconia flower that continues to flourish today at Jim Thompson's former home. Overlooking the pool and gardens, the twin bedroom showcases the Floriential print, highlighting whimsical birds and butterflies frolicking amidst peonies. Continue reading below the photo of the twin bedroom. “We have a passion for enhancing our pool villas so that guests can enjoy the full beauty of Anantara Mai Khao, inside and out,” explains Nikolaus Priesnitz General Manager of Anantara Mai Khao. “The Two-Bedroom Royal Villa by Jim Thompson offers a secluded retreat with luxury amenities and is ideal for families, while highlighting the gorgeous designs of a truly beloved Thai treasure.” Read more below the photo of the exterior of the villa. Guests of the Two Bedroom Royal Villa by Jim Thompson are welcomed with fresh flowers and fruit juices upon arrival, as well as personalized Villa Host service, Anantara Spa products, and a complimentary set of the Bvlgari Guest Collection. The Anantara Mai Khao Phuket Villas is located on the island's secluded northwest coast. Along the Andaman Sea, the property offers locally-inspired architecture, indigenous gardens, and excursions to Sirinath National Park's tropical mangroves, dives to coral reefs, and strolls through local villages. As two world leaders meet this week, it seems like all eyes are on Singapore, and we're taking a closer look at the three Singapore luxury hotels where the two leaders will be meeting and staying. Today, President Donald Trump of the United States and North Korean leader Kim Jong Un held a historic meeting at the Capella Singapore. Learn more about the property below the photo. The historic resort is known for a colonial facade and contemporary Asian design. Located on Sentosa Island, the luxe island resort is about a 15-minute drive from downtown Singapore, and is set amidst 30 acres of land offering lush landscaping with roaming peacocks, spa, golf course, and stylish pools. The conference rooms overlook the South China sea, and the property offers four restaurants including a luxurious Chef's Table, Cassia with modern Cantonese cuisine, The Knolls with a gourmet Mediterranean menu, and Bob's Bar offering a setting reminiscent of Cuban island bars in the 1950s and 60s. While in Singapore, President Donald Trump is staying at the Shangri-La Hotel Singapore. Providing a resort-style setting, the property is nestled amidst 15 acres of lush greenery, steps from the designer shopping malls, quaint noodle stalls, and antique shops along Orchard Road. Read more about the property below the photo. Guests can meander through landscaped gardens, experience luxurious pampering treatments at CHI, The Spa, or relax poolside. While dining options include Waterfall Ristorante Italiano with authentic cuisine, NAMI featuring fine Japanese dining, and Shang Palace with traditional Cantonese cuisine. Nearby, The St. Regis Singapore is hosting North Korean leader Kim Jong Un. Known for its timeless elegance and legendary St. Regis Butler Service, the five star hotel is located steps from the infamous Orchard Road and the UNESCO World Heritage Site of the Singapore Botanic Gardens. Read more about the property below the photo. The coveted location is located in the heart of the city's shopping and diplomatic districts, with bespoke amenities such as Signature Bentley Transfers, a tropical spa pool, and St. Regis Concierges. The hotel is home to one of the world's premier art collections, as well as the exclusive Remede Spa. Plus, the property offers an array of epicurian experiences including Brasserie Les Saveurs with contemporary French cuisine, Yan Ting with authentic Chinese dishes, and Shinji by Kanesaka providing a Japanese culinary experience. Set within a former church, The LINE DC is a luxury boutique hotel with a community radio station broadcasting live from the lobby, two unique bars with eclectic nightlife experiences, and three restaurants serving dishes infused with flavors from around the world. Located in the Adams Morgan neighborhood, guestrooms and suites have sweeping views of Washington, D.C., while the hotel's rooftop has panoramas of the Washington National Cathedral and Washington Monument. Continue reading below the photo. Providing an ideal destination for foodies, The LINE DC's restaurants are led by two James Beard-recognized chefs, Spike Gjerde of Baltimore's Woodberry Kitchen and Erik-Bruner-Yang of Maketto. At A Rake's Progress, guests can experience Spike Gjerde's mix of Southern cuisine paired with locally-sourced Chesapeake ingredients. While just off the lobby at Brothers and Sisters, visitors can select from an all-day menu of Erik Bruner-Yang's American classics prepared with Taiwanese and Japanese style, or try a reimagined high tea experience in the East Parlour Tea. For an intimate exprience, Spoken English by Erik Bruner-Yang is a 10-seat venue with an Asian-inspired tasting menu served family style. Read more below the photo. For entertainment the community radio station, Full Service Radio (created by Jack Inslee the world's pioneer food radio station) broadcasts live from the lobby. Covering a range of topics including politics, food, comedy, art, and music, the radio station has about three dozen local hosts. In the evenings the hotel offers live music nightly, and guests have two bar options within the hotel: A Rake's Bar serves cocktails infused innovative with ingredients curated from innovative distillers, and Brothers and Sisters Bar is led by a celebrated bartender and sommelier with a menu of classic American and International cocktails. Bavaria's capital city, Munich or München (pronounced Mewn-shin, in German) may be known for its beer halls like the iconic Hofbräuhaus, and Oktoberfest (September 16, 2017 to October 3, 2017) but the city also offers a plethora of outdoor cafes, upscale shops, boutiques, and department stores, as well as large outdoor markets like the Viktualienmarkt where visitors can stroll amidst food booths, try some local fare, or relax in the bier garden. It's also a historically Catholic city, where guests can explore ornately decorated baroque and rococo-style churches. The city is a cultural and sophisticated destination with world-class museums like the Bayerisches Nationalmuseum (Bavarian National Museum), the Deutches Museum showcasing science and technology exhibits, Schloss Nymphenburg the Italian-inspired summer home for Bavarian monarchs, Pinakothek der Moderne with modern works of art, and the Alte Pinakothek with symmetrical architecture, wraparound garden, and an assortment of paintings from every era. For automotive enthusiasts, Munich is where BMWs are made, and guests can tour the BMW Welt, the BMW Museum, and the BMW Group Plant to see where the famous vehicles are produced. In addition to the sites in Munich, the city makes an ideal base for exploring nearby attractions including the Dachau Concentration Camp Memorial Site, Newschwanstein Castle, Hohenschwangau Castle, and Salzburg, Austria, which are easily reachable via trains and public transportation. To compliment Munich's array of attractions and activities, Five Star Alliance offers a variety of luxury hotels including Historic Properties, Classic Hotels, and Modern Retreats, which are highlighted below. Situated in the city center, Bayerischer Hof opened in 1841 on the wishes of King Ludwig I. Offering a historic setting and the Blue Spa Lounge with a winter garden and terrace, the property has multiple dining options including Atelier, a recipient of 2 Michelin stars, Garden providing a modern Brasserie menu, Palais Keller with Bavarian specialties and pretzels from its own bakery, as well as Trader Vic's with Polynesian specialties. Close to Frauenkirche, the Viktualienmarkt (outdoor food market), the Opera, the Residenz, and the Hofgarten, the property has a central location for exploring the city. Providing an ideal location close to Marienplatz and Karlzplatz squares, Hotel Konigshof has Michelin-starred modern German cuisine, famous wine cellar with more than 1,200 vintages, and Geisel's Weingalerie--an on-site wine shop. Originally built as a Victorian style private residence, the property has been part of the Geisel hotelier family since 1938. Providing an elegant and historic setting in the heart of the city, there's an opulent lobby with a piano, and a wellness oasis. The Hotel Vier Jahreszeiten Kempinski Munich is a grand European hotel built in 1858. Offering a luxury day spa, guests can enjoy beauty treatments, or swim in a swimming pool with panoramic views over the Munich rooftops. For dining, the Schwarzreiter Tagesbar & Restaurant has a menu with modern variations of Bavarian classics, and the Jahreszeiten Bar provides and English-inspired setting with dark woods, open fireplace, and crafted international cocktails. Featuring a tranquil setting in the city's old botanical gardens, The Charles Hotel opened in 2007. Designed by Olga Polizzi, the chic property has The Charles Spa offering an urban spa experience with an indoor pool, beauty salon, steam room with color therapy and aromatherapy, foot baths with a heated bench, Finnish sauna, and state-of-the-art fitness center. There's also Sophia's Restaurant and Bar with a modern Italian menu overlooking the gardens, and The Library serving traditional Afternoon Tea. Family-run and personally-managed, Hotel Muenchen Palace is a luxury boutique hotel in the noble Bogenhausen quarter. Mixing classical style with contemporary elements, accommodations have minibars, satellite TVs, and evening turndown service. There's a garden for outdoor dining during the summer months, as well as the newly opened Palace Wintergarten with large windows and natural light, plus the Palace Restaurant with chef-prepared international dishes, and the Palace Bar with Afternoon Tea and evening cocktails. Set along the famed Maximilianstrasse in the city's Old Town, the Mandarin Oriental, Munich is set within a charming Neo-Renaisssance building that has been completely renovated. Guest rooms and suites incorporate the building's architectural style with state-of-the-art amenities like Bang and Olufsen entertainment systems, and incomparble views of Munich's red roofs and spires. Memorable dining experiences include Matsuhisa Munich with Japanese-Peruvian cuisine, The Lounge with Afternoon Tea and international cuisine, and the China Moon Roof Terrace with panoramic views. Situated within Munich's historical post office with curved lines and arches, Sofitel Munich Bayerpost transports guests into the modern era. Featuring contemporary interiors with one-of-a-kind modern works of art, glass-roofed lobby, and a wellness area with an indoor swimming pool, sauna, steam bath, and fitness center. While the Schwarz & Weiz restaurant serves artisian cuisine in a creative environment. Offering a design-focused setting, the Louis Hotel is located next to the famous Viktualienmarkt. 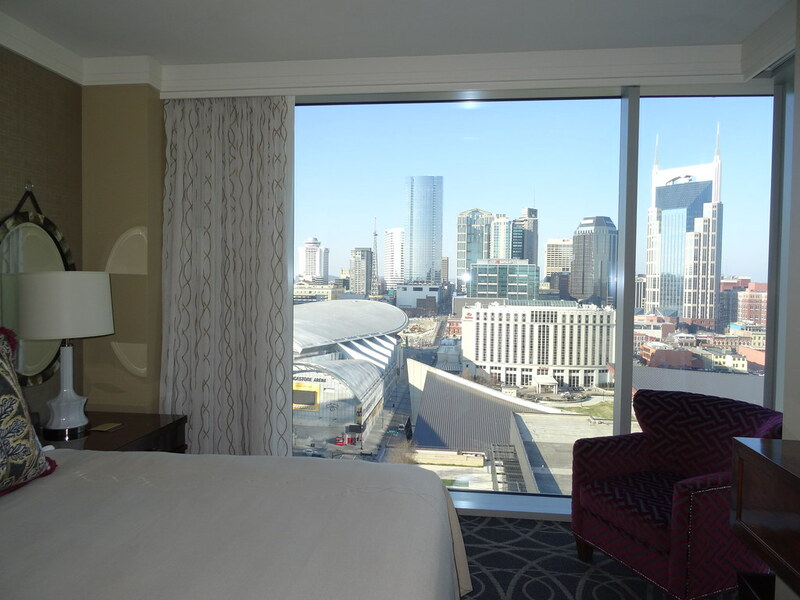 Featuring panoramic views and a style reminiscent of the Parisian Metro, guest rooms and suites have handcrafted nut and oak wood furnishings, natural stone, elegant tiling, and handmade queen beds with natural rubber mattresses. There is a seasonal rooftop terrace, and the Emiko restaurant serves modern Japanese cuisine. Featuring a distinctive glass-domed trium, the Hilton Munich Airport offers a relaxed setting between Terminal 1 and Terminal 2 of the Munich Airport. The Fit&Fly Spa has a heated indoor pool and 24-hour fitness center, and there's a signature restaurant and bar on-site. Providing convenient access to the airport, the property also has transport links to the city center and Munich attractions, plus a business center and meeting rooms. The properties mentioned above are just a few of the Five Star Alliance luxury hotels in Munich. Providing a host of amenities and exclusive services, The Broadmoor is the grand dame of Colorado Springs. Built in 1891, the historic property is filled with the spirit of the West, giving adventurers endless opportunities for four seasons of activities for all ages, including zip lining, fly fishing, horseback riding, and rejuvenating at the spa. 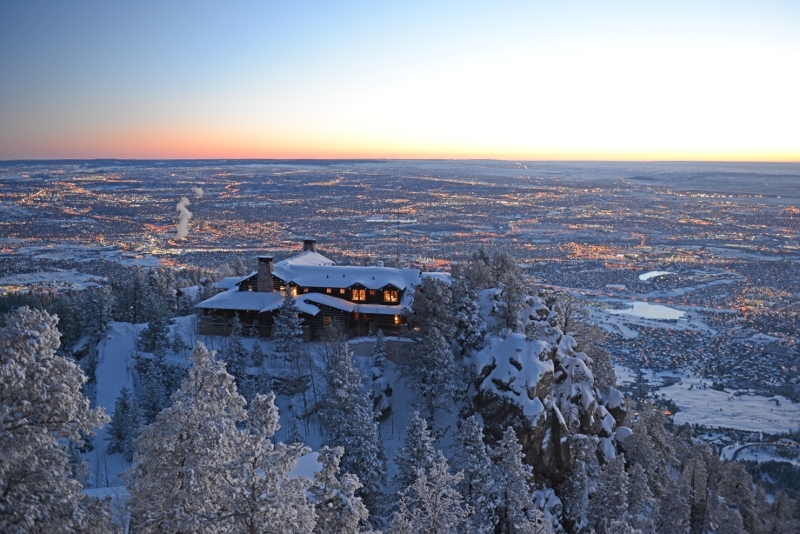 Recently, the property unveiled Cloud Camp, set atop Cheyenne Mountain, it's a private retreat that will open during the winter holiday season for one family at a time. Learn more about this unique offering in the article below the Cloud Camp photo (courtesy of The Broadmoor) from our sister publication, Luxury Travel Advisor. The Broadmoor resort in Colorado Springs is introducing its brand new Cloud Camp for this upcoming holiday season – for only one family or group at a time. Cloud Camp sits 9,200 feet above sea level atop Cheyenne Mountain – 3,000 feet above The Broadmoor. Introducing its two new holiday packages, Christmas at Cloud Camp and Thanksgiving at Cloud Camp, visitors can experience a completely exclusive three- or four-night stay that includes use of the entire main lodge and its seven bedrooms. Days at Cloud Camp will include relaxing by the fire, joining chefs in the kitchen for “cooking clubs” involving holiday dishes and cookie making, wine tastings, strolling outside among the clouds, and taking in the 360-degree views of nearby Pikes Peak and the city of Colorado Springs below, among other wintry activities. All meals, beverages and alcohol are included in the visitors’ stay at the mountaintop resort, where they are also able to customize their stay based on personal preference. Aside from Cloud Camp, The Broadmoor is also offering private stays at the Estate House this year. This historic mansion was designed in the 1920s and only recently re-opened in late 2016 with new Broadmoor style. The Estate House offers five bedrooms, a grand parlor, a dining room with seating for up to 16 as well as manicured gardens. The resort announced these two new holiday offers at Cloud Camp and the Estate House during its Christmas in July promotion, where it also announced more holiday exclusives including the Labor Day and Spooktacular Halloween packages. The Broadmoor is home to Colorado’s only Forbes Five Star and AAA Five Diamond restaurant, the Penrose Room. It also includes three golf courses, an award-winning spa and fitness center, as well as a nationally recognized tennis staff and program, among other amenities. The resort’s three Wilderness Experience properties – The Ranch at Emerald Valley, Cloud Camp and Fly Fishing Camp – are all-inclusive boutique facilities.